The Grand Hotel Marriott Resort, Golf Club & Spa is offering a series of culinary weekends with classes, tasting events, and fantastic meals. During one weekend each month, the hotel will host different culinary-themed events showcasing incredible local food and wine. 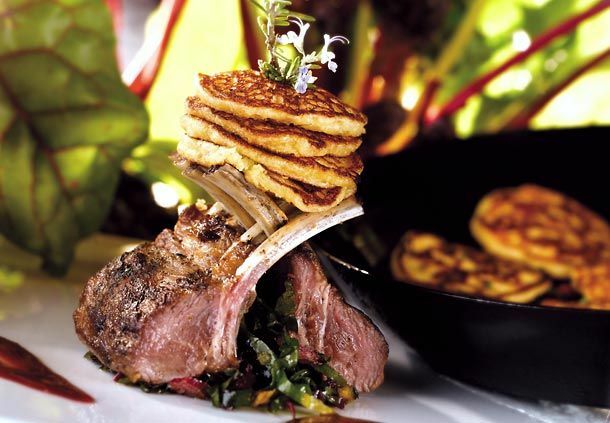 POINT CLEAR, AL--(Marketwired - Jan 17, 2014) - This year, the Grand Hotel Marriott Resort, Golf Club & Spa, a premier Gulf Coast beach hotel, is offering a series of culinary weekends with classes, tasting events, and fantastic meals. During one weekend each month, these Gulf Coast accommodations will host different culinary-themed events showcasing incredible local food and wine. Amateur home cooks, expert chefs, and beer and wine lovers will learn everything from pairing fine wines with the right cheese to perfecting the ideal grilling techniques. Culinary weekends will kick off with a Friday night Beverage Academy, where guests can learn everything from how to make classic cocktails to how to pair fine wines with the right food. The beverage classes begin on Friday nights at 5:30pm and cost $10 per person. 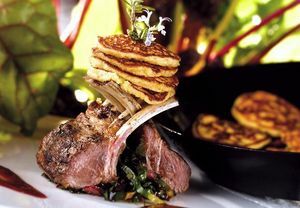 On Saturday morning, chefs from the Grand Steakhouse and the Saltwater Grill, two fine Fairhope AL restaurants located inside the hotel, will teach cooking classes. Culinary classes begin on Saturdays at 10am and typically cost $25, though prices vary. Culinary weekends will take place on January 17-18, February 14-15, March 14-15, April 18-19, May 16-17, June 20-21, July 18-19, August 15-16, September 19-20, October 17-18, November 14-15, and December 19-20. Located on Alabama's stunning Gulf Coast, the resort offers seven restaurants, a 20,000-square-foot European spa, three pools, a marina, two private 18-hole golf courses, 10 tennis courts, a beautiful stretch of beach, and spacious rooms that feature views of sparkling Mobile Bay. It's an ideal romantic getaway in Gulf Shores, Alabama. Located on 550 secluded acres in Point Clear, Alabama, the Grand Hotel Marriott Beach Resort, Golf Club & Spa is a luxurious and charming historic resort in the heart of Alabama's Gulf Coast. This AAA Four Diamond property offers a prime beachfront location overlooking Mobile Bay and luxurious amenities including three outdoor pools, two private golf courses, water sports, concierge service, a full-service business center, gym, spa, and wireless Internet access throughout the rooms and public areas. The spacious and newly renovated guest rooms and suites feature upscale amenities like plush bedding, room service and evening turn-down service, flatscreen TVs with cable and premium movie channels, complimentary wireless Internet, and stunning views of the Bay, marina, or pool and garden. Guests can enjoy a meal in the hotel's seven restaurants, including The Grand Steakhouse for upscale steaks, Saltwater Grill for fresh Gulf Coast seafood, The Dining Room for classic American fare, and Bucky's Birdcage Lounge for handcrafted cocktails, great appetizers, and live music each night. Golfers will enjoy the hotel's two par-72 Robert Trent Jones golf courses: Dogwood Course and Azalea Course. Unwind with a spa treatment at the luxurious 20,000-square-foot Spa at The Grand Hotel. With 24 meeting rooms and a total of 34,500 sq. ft. of meeting space, the hotel is also the venue of choice for meetings and events in Point Clear.